You are at:Home»iPhone»Repair»My iPad Screen Is Broken! Here’s The Real Fix. Your iPad screen broke and you don’t know what to do. Now you can’t watch videos, play games, or check your email! 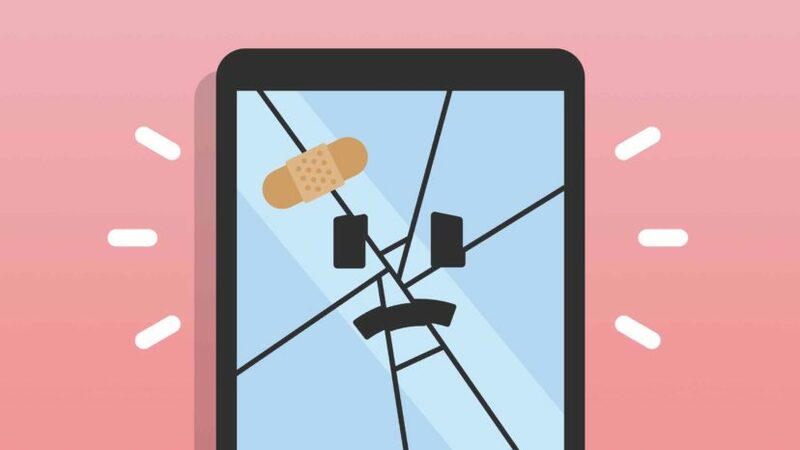 In this article, I’ll explain what to do when your iPad screen is broken and help you get it fixed as soon as possible. Before exploring repair options, it’s important to evaluate how badly your iPad’s screen has been broken. Is it totally shattered, or is it only a tiny crack? Is your iPad still usable? For some people, a slightly cracked iPad display isn’t a huge deal. I had a thin crack on my iPhone 7, but never bothered getting it replaced. The cost and time-investment of getting it repaired wasn’t worth the hassle for me. Eventually, I forgot the crack was even there! In rare cases, Apple may cover the cost of your repair if the only damage to your iPad’s screen is a thin, hairline crack. Don’t head into the Apple Store expecting them to fix or replace your iPad for free, but it may be worth a shot. However, if your iPad screen is totally shattered, you’ll have to get it repaired. Without a functioning display, your iPad is basically an expensive paperweight or coaster! Keep reading to learn the next steps towards getting your broken iPad screen repaired. Are Sharp Pieces Of Glass Sticking Out Of The Screen? A lot of the time, sharp pieces of glass will stick out of your iPad’s screen when it’s broken. It’s a good idea to cover up the screen with packing tape or a plastic bag. That way, you won’t have to stop at the hospital on your way to the Apple Store. Even though your iPad screen is broken, you can sometimes still back it up. 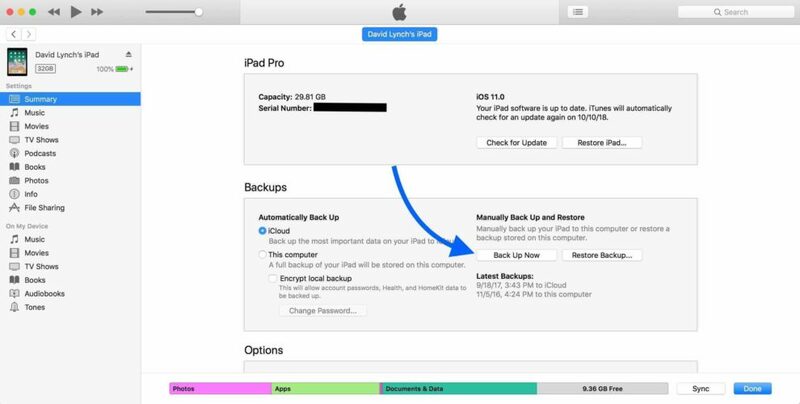 I strongly recommend backing up your iPad now if possible, just in case something goes really wrong when you get it repaired. To back up your iPad, connect it to your computer using a Lightning cable. Then, open iTunes and click on the iPad button near the upper left-hand corner of the window. Finally, click Back Up Now. There a couple of options if you’ve decided on completely repairing your iPad’s display. If your iPad is covered by an AppleCare+ plan, set up an appointment at the Genius Bar and see what they can do for you. If your iPad isn’t covered by an AppleCare+ protection plan, then the Apple Store may not be your best or cheapest option. Out-of-warranty iPad screen repairs can cost as much as $199 – $599! That’s probably more than you want to pay out-of-pocket. I also recommend the on-demand repair company Puls, who will send a technician directly to your home or workplace in as little as an hour. That tech will fix your iPad on-the-spot and give you a lifetime warranty on the repair! Best of all, Puls iPad display repairs start at $129, so you’ll probably get a better deal than you would’ve at the Apple Store. Could I Just Fix It Myself? You could fix your broken iPad screen on your own, but I don’t recommend trying to. Repairing or replacing the screen of an iPad is very difficult to do, especially if you have no experience. You’ll need a special iPad repair toolkit, a high-quality replacement screen, and a very steady hand. If one thing goes wrong, you could wind up with a completely broken iPad. Furthermore, Apple won’t bail you out if you make a mistake. Once you start trying to repair your broken iPad screen yourself, you void your AppleCare+ protection plan. When your iPad or iPhone is broken, it’s best to leave the repair in the hands of an expert! You now know what to do when your iPad screen is broken! I hope you’ll share this article with your family and friends when they need to have their iPad screen repaired or replaced. If you have any other questions about your Apple products, leave me a comment down below! Previous ArticleHow Do I Hard Reset An iPhone XS & iPhone XS Max? The Fix! Next Article My iPad Screen Is Black! Here’s The Real Fix.